The Greek nation during the long duration of the Ottoman occupation showed unwavering endurance. It kept alive the sacred flame for its national independence. The contribution of Orthodox church was great. For that reason the modern Greeks, feel deep gratitude. Greeks organize and acquire the naval superiority in the Aegean in preparation for their independence. On March 25, 1821, a revolution unfolds, gradually spreading to Greek space, through serious difficulties and internal disputes. A Greek force was created. Without ships and capable sailors, no Greek movement would ever be possible. And in 1821, a revolution without a fleet would be insanity. The Greek fleet was formed by the conversion of the merchant navy into a military one. It was estimated at about 700 Greek ships at the time of the revolution, mostly for the three islands (Hydra - Spetses - Psara) as well as for Kasos and Galaxidi. These ships traded in all the seas. The crews were considered to be the best of that time in naval combat, and they were the most expert, because they had practiced, constantly confronting pirates and brigands. Thus, 150 "line" ships were manned and many of the rest became fireships. After 8 years of battles and sacrifices, the official policy of the European states changed, and after the naval battle of Navarino (October 20, 1827), where the united fleet of England, France and Russia defeated the Ottoman-Egyptian fleet, a pact of autonomy was signed and after a while, the complete independence of Greece was a reality (1830). Crete, despite its heroic struggles and despite the fact that many Cretans volunteered on mainland Greece and fought for independence (they participated in many battles against the Ottomans and fought alongside Papaflessas in Maniaki), remained under Ottoman occupation. The "armed insurgency", though just, unfortunately, was not effective. 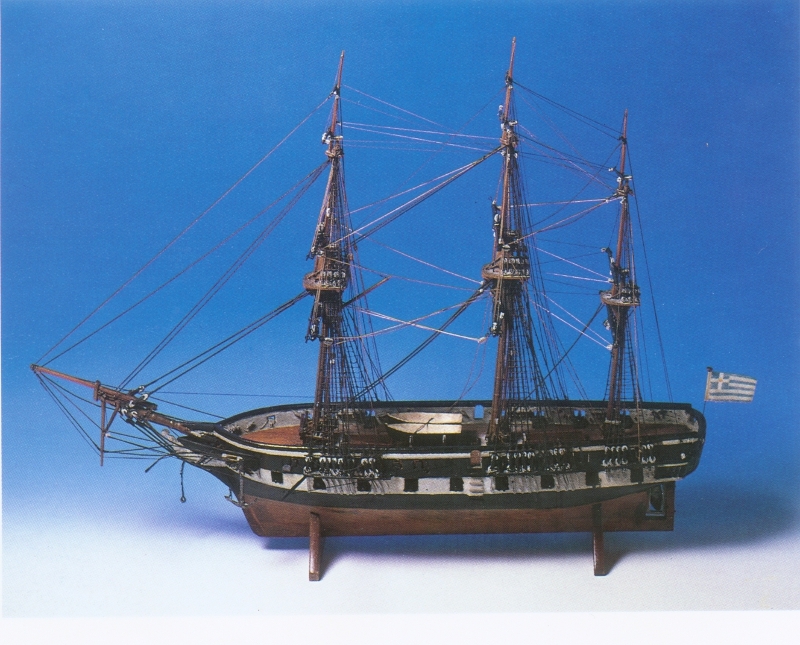 Frigate with 3 masts. It was used in the early 17th century. Large high-speed warrior with tall masts and with a high road sail, 800-1000 tonne displacement. Armament 60 guns placed on the substructure of the vessel. Each gun was facing its own door on the side of the boat that was opened when it was needed to shoot. The smaller frigates had a displacement of about 600 tonnes, with about 40 firearms and a crew of 300 men. 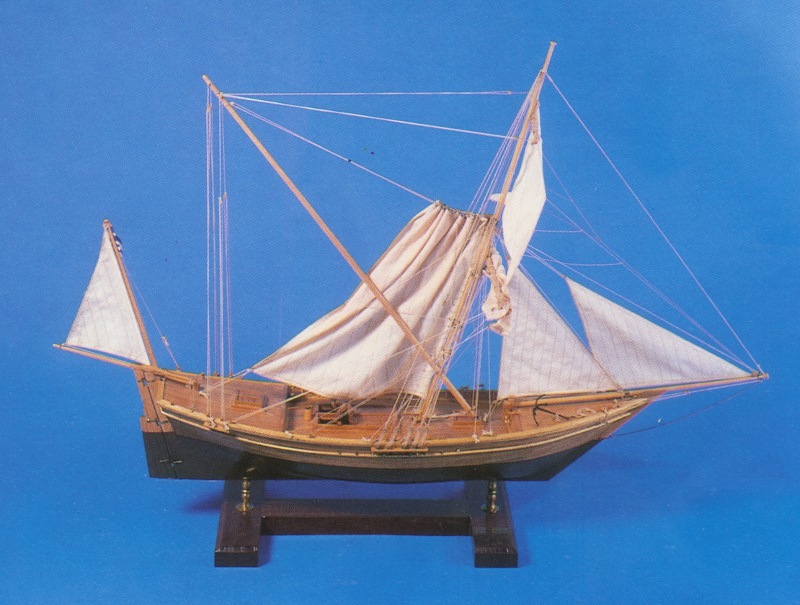 Bricki was a merchant sailboat, which the Greeks armored long before 1821 to cope with pirates' attacks. 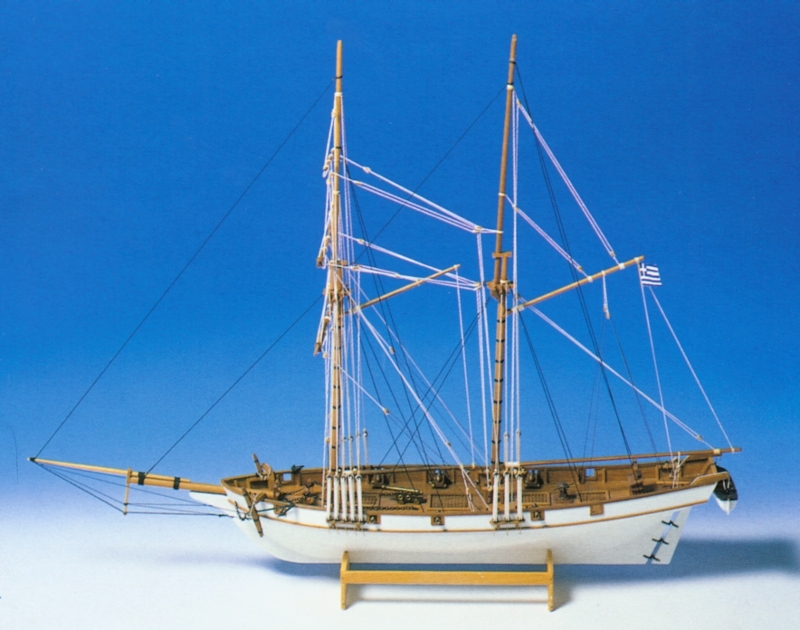 Briki is also called "paron", because its shipbuilding design was very similar to that warship mentioned of the 18th-century. Bricki was the main warship, which supported the Greek naval effort in 1821-1829. Its key features were the flexibility and the high speed it could develop even with moderate wind, due to the high of the sails. 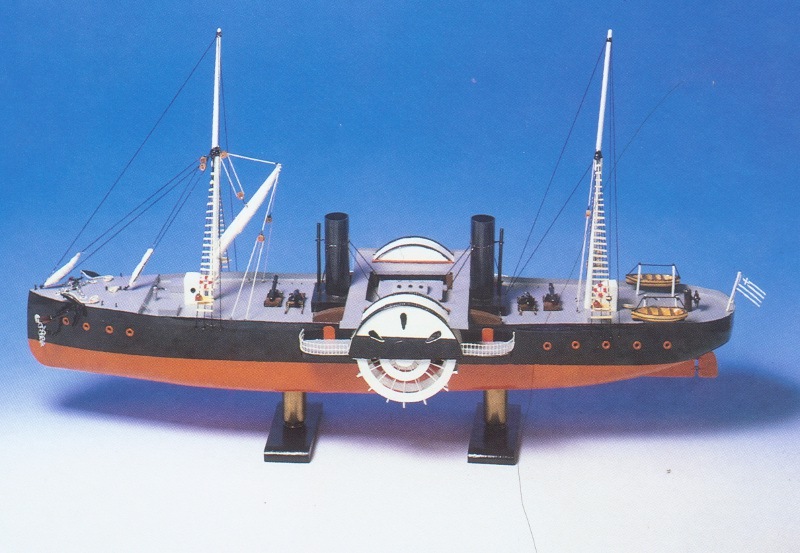 A 438-ton steamer, a 15-mile cruiser. It was built in 1860. It was equiped with two (2) firearms and junior personnel. It became famous during the period of the Cretan Revolution (1866-1868). When, with a commercial flag and master, the captain N. Sourmeli performed many cruises and supplies to strengthen the Cretans. Its name derived from the word "bag" because of the peculiar shape of its sails and the word "elevate" ("Iainte"). The boat was suitable for transport due to its width and stability. Stability was mainly ensured by the low surface of its peculiar sail. It was used for cruises to the Aegean Sea during the Russian-Turkish War (1770-1807) and the 1821 Revolution. 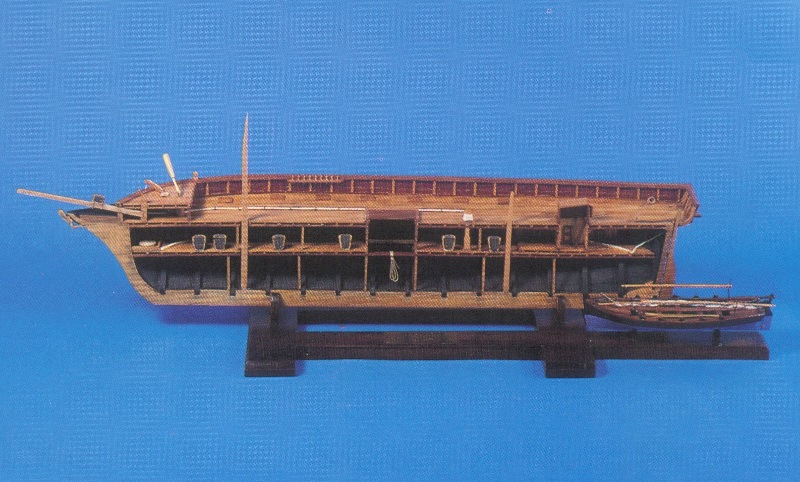 Type of warship used in naval races. It was an effective weapon of the Greeks in the struggle for independence (1821-28). The Greek naval leaders realized early on that conventional warfare was unprofitable for them, as the Greek fleet's firepower was much lower than that of the Ottoman fleet. For this reason they used the fireships with excellent results. The fireships were small and old sailing ships, specially crafted, loaded with explosives and flammable materials. They were expelled against the anchored enemy fleet during the night to make a surprise. An integral part of them was the "stamabbia", as the boat with which the crew escaped after the adventure.